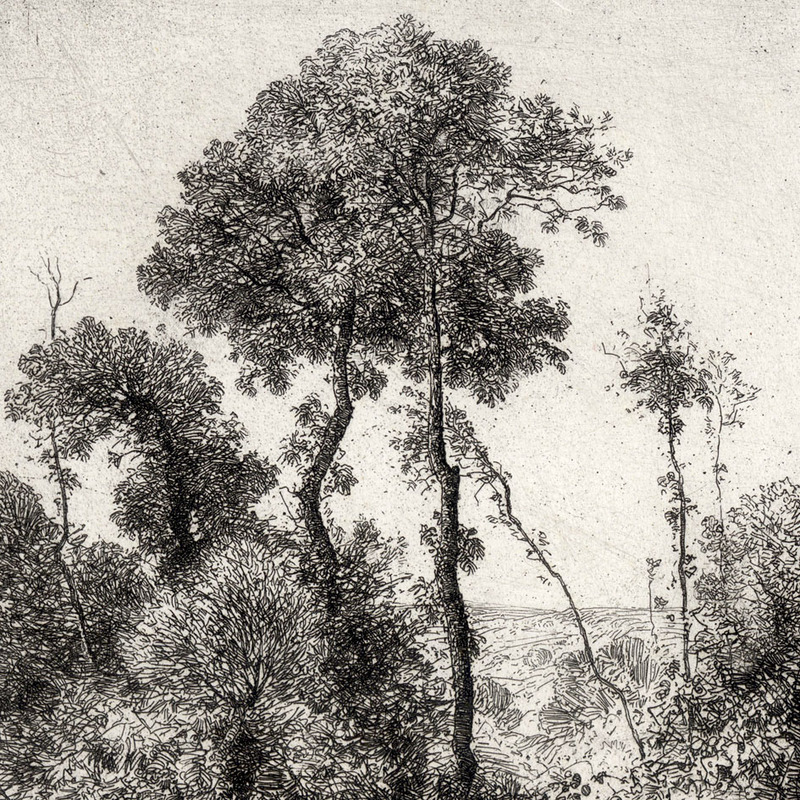 “Grands Arbres” (title from Joconde), 1867, plate 7 from a series of eight etched landscapes (see description of these prints at Joconde—Portal of the Collections of the Museums of France—inventory numbers: MG 2005-0-37 to MG 2005-0-44: http://www.culture.gouv.fr/public/mistral/joconde_fr?ACTION=CHERCHER&FIELD_98=AUTR&VALUE_98=ACHARD%20Jean&DOM=All&REL_SPECIFIC=3), printed by Auguste Delâtre (1822–1907). 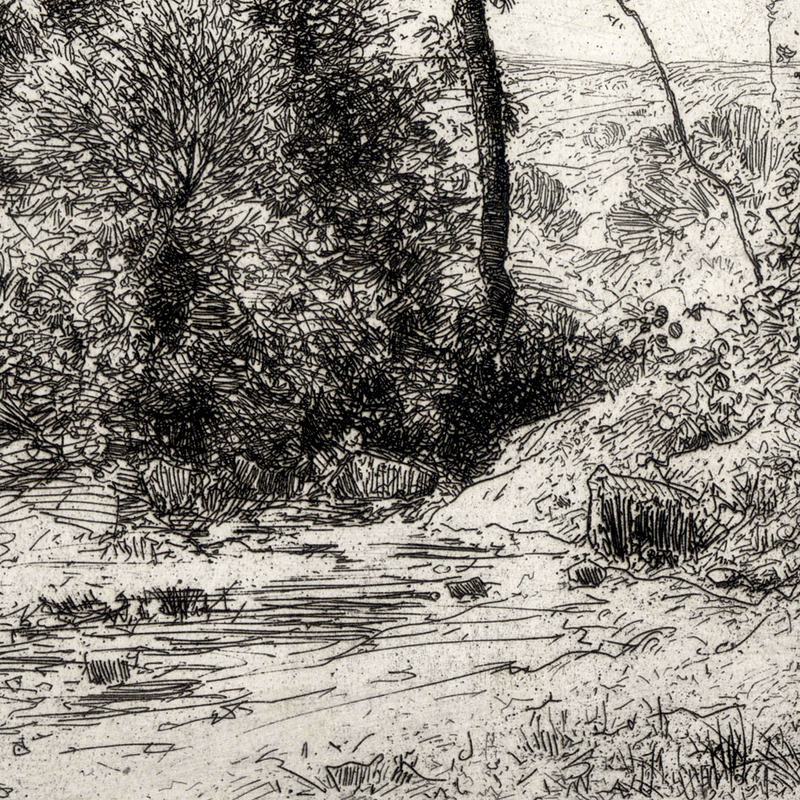 Etching with light plate tone on heavy wove paper with large margins as published. 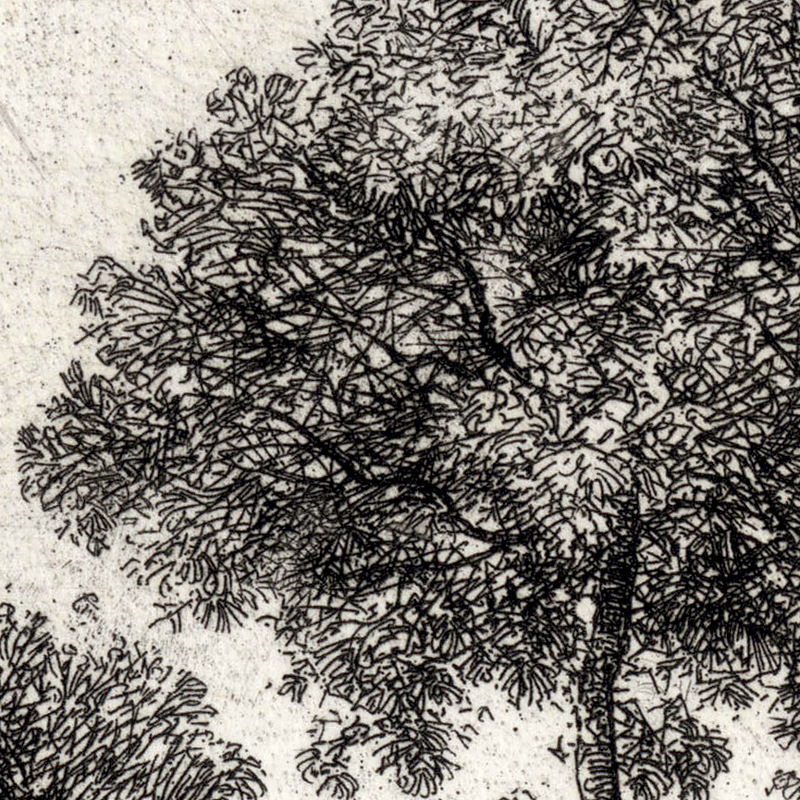 Condition: a superb impression with generous margins in pristine condition. 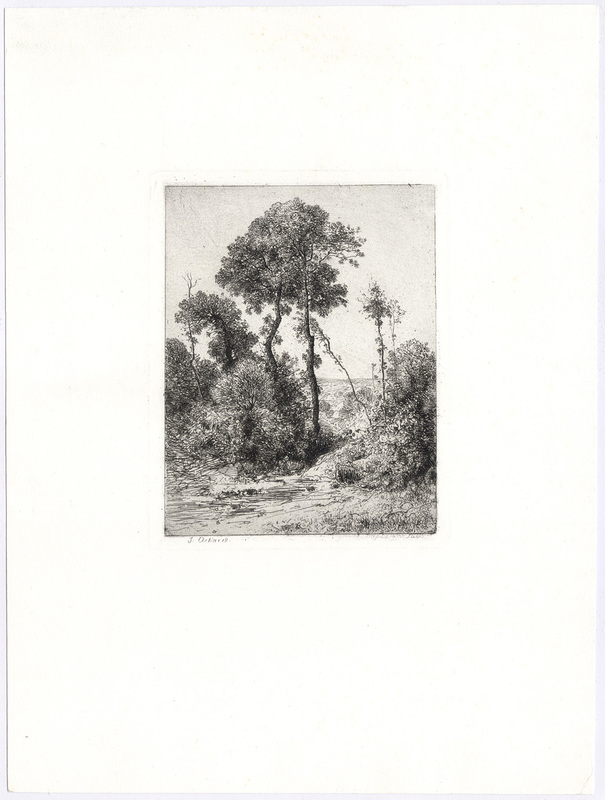 I am selling this exceptionally luminous and finely executed etching by one of the less well-known artists in the circle of the Barbizon School for the total cost of AU$147 (currently US$110.59/EUR93.78/GBP82.61 at the time of this listing) including postage and handling to anywhere in the world. 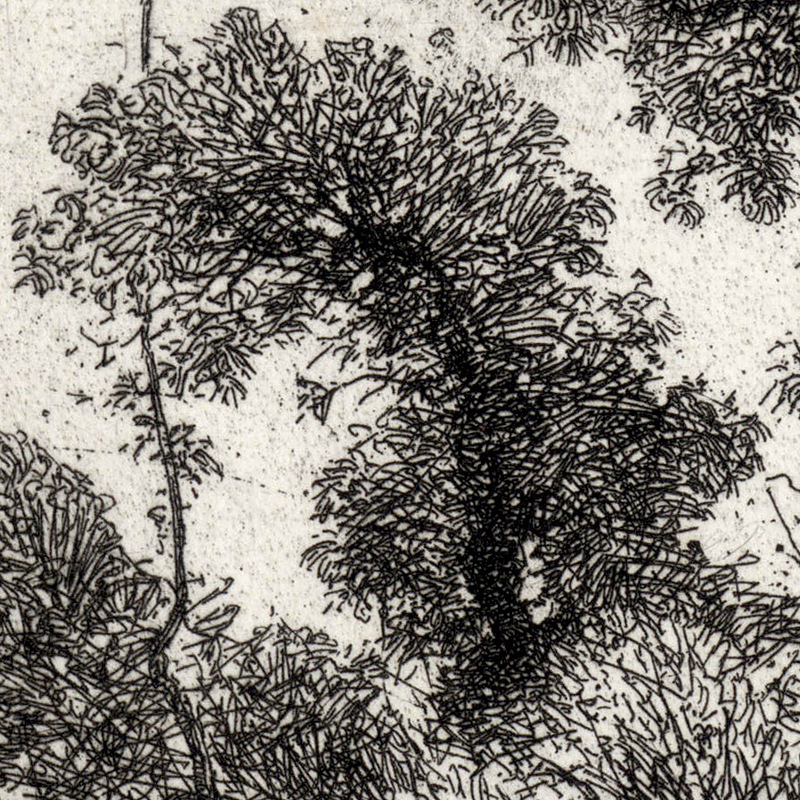 If you are interested in purchasing this stunningly beautiful etching capturing in a very believable way the midday light shimmering on trees that was no doubt observed and drawn directly on the plate in front of the subject, please contact me (oz_jim@printsandprinciples.com) and I will send you a PayPal invoice to make the payment easy. 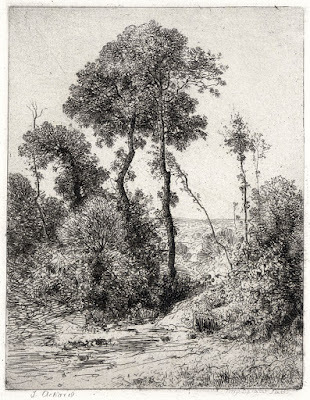 Achard was friends with Jean-Baptiste Camille Corot and many of the other artists lightly connected with the Barbizon School. 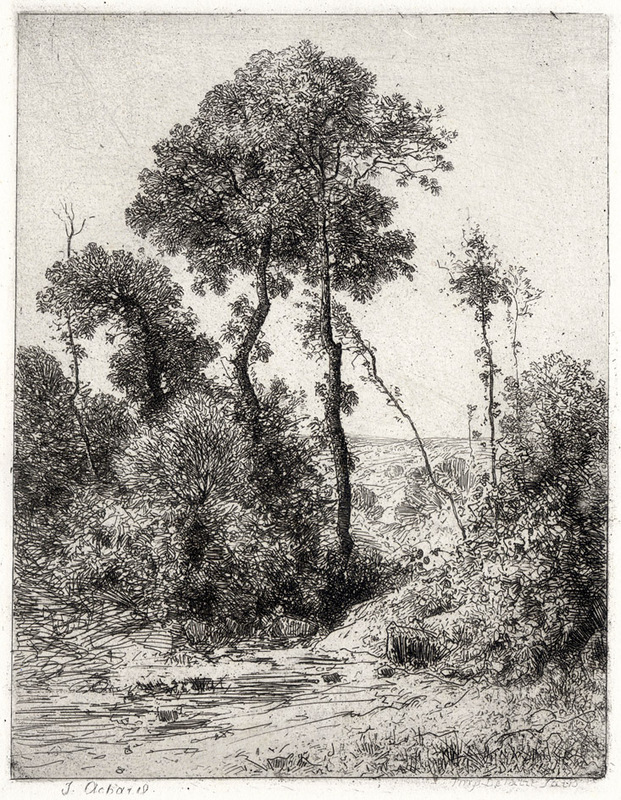 I mention this fact as the influence of the Barbizon group of artists on Achard—and perhaps Achard’s reciprocal influence on them—is unmistakable in his beautifully executed etching. What I mean by this undercurrent of shared interests is summed up by Achard’s approach to composition: he has chosen to draw the group of trees shown here as he observed them without obvious artful manicuring of their forms and without arranging them according to academic formulas. 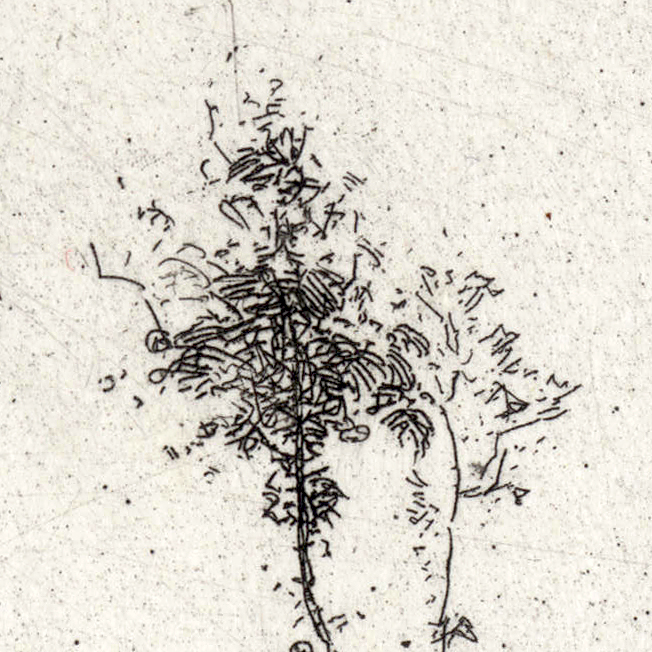 In short, Achard, undoubtedly drew these rather scruffy trees—elegantly scruffy (if I may use an oxymoron)—directly on the etching plate standing out in the field. One of the marvellous things about looking at prints like this is that the artists’ mindsets are literally etched into the images that they create. 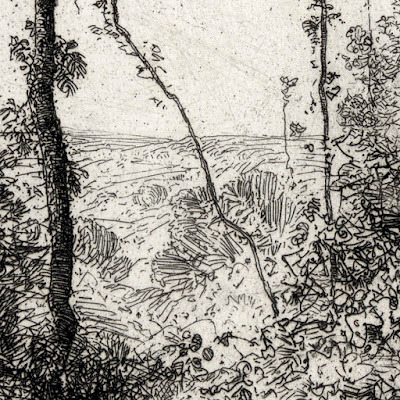 When I look at this image, for instance, I see in my mind’s eye Archard standing (as opposed to sitting) in an open field in full sun without a hint of shade to protect him. 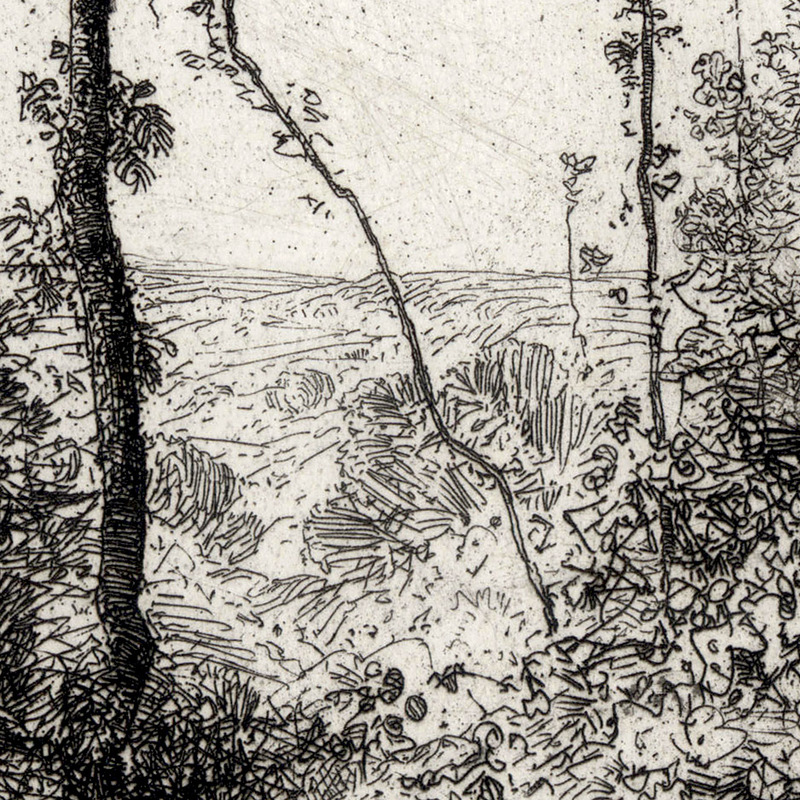 This motivation to draw on the etching plate from what was probably a fairly uncomfortable position suggests that Archard was an artist driven by his need to capture a very specific/special point of view. 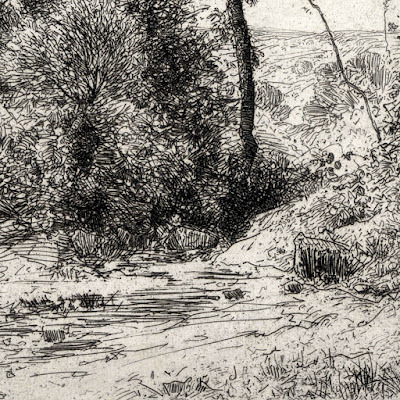 By comparison to artists who make themselves comfortable first—usually seated in the shade (unless the weather is cold)—and then “find” a suitable subject, the significance of the particular subject chosen by Archard becomes more apparent: Archard preferred open spaces observed from an elevated viewpoint … dare I suggest that he may have been extrovert based solely on his choice of subject?